When the tides are right, the area around Parking Lot D at Fort Stevens State Park can be very productive. 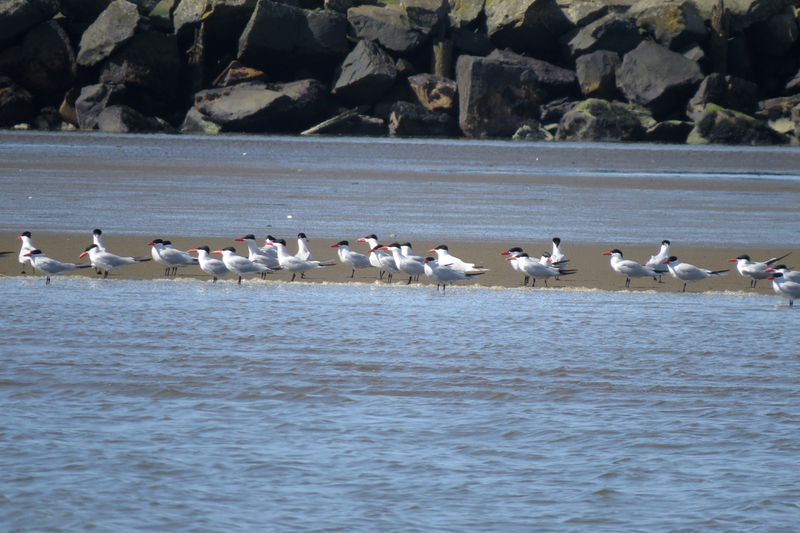 On my recent visit, I found about 400 Caspian Terns in the bay. Many of the birds were presenting fish to their lady loves, and a few were rewarded accordingly (nudge, nudge, wink, wink). A Bald Eagle would occasionally take a pass at the flock, sending the terns off in a big swirling mass, but the birds would quickly settle down again. One of my favorite birds of the day was this breeding plumaged Bonaparte’s Gull. 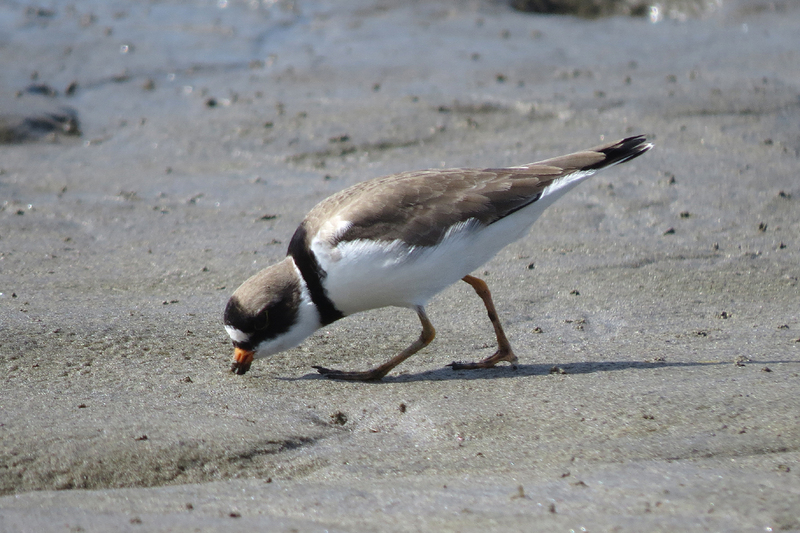 I watched the bird fly in and settle on the mud flat. I snapped a couple of frames from a great distance, planning on getting better views. But, as is often the case, the bird took off before I could get any closer. 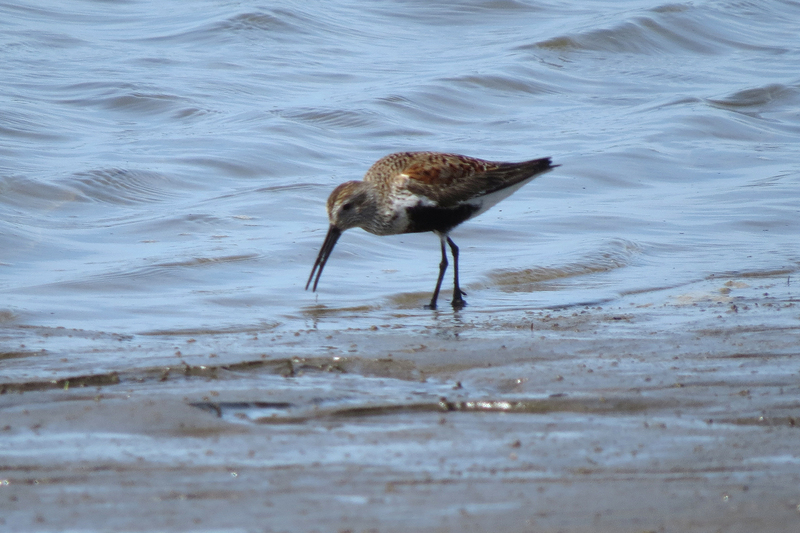 Over the past few years, this site has been become a productive spot for shorebirds. 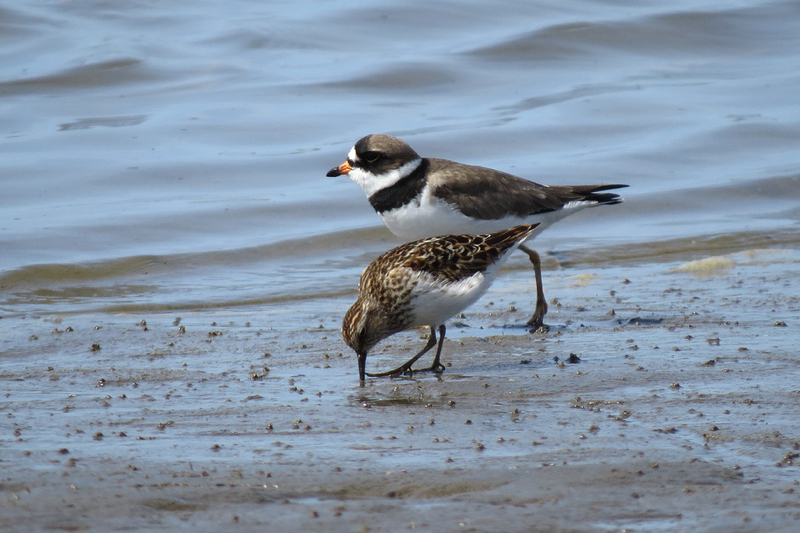 The spring shorebirds migration is well past its peak, but there were still a few birds around. This little flock was actively feeding along the shore, so I sat on my knees in the sand and waited for the birds to come to me. 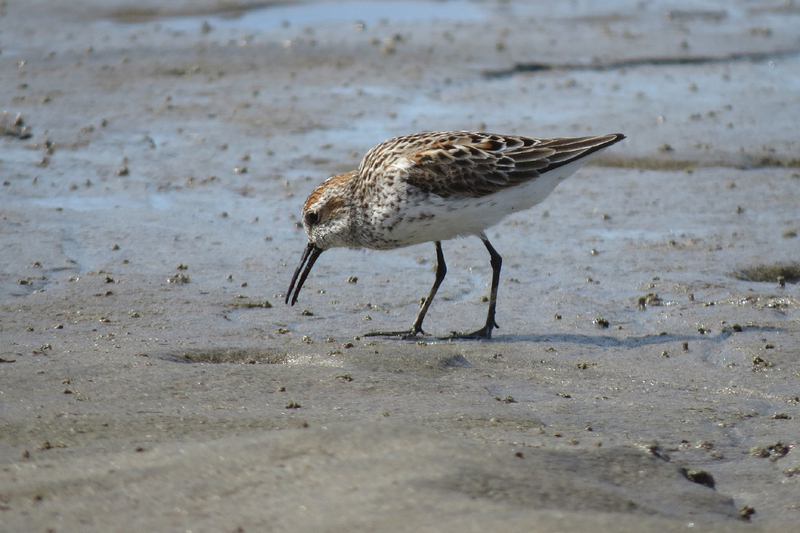 Shorebirds are very wary of people standing upright, but if you sit down, or better yet, lie down, the birds will come quite close. 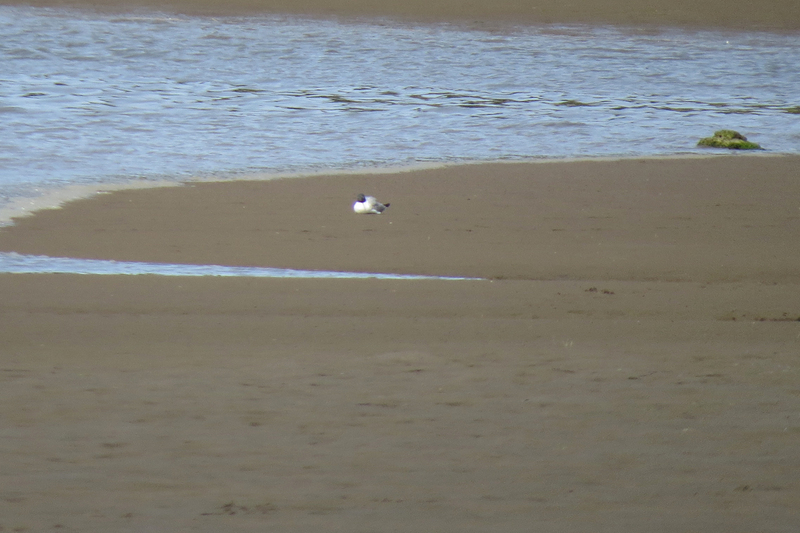 This blurry Dunlin was the only member of her species in the flock. 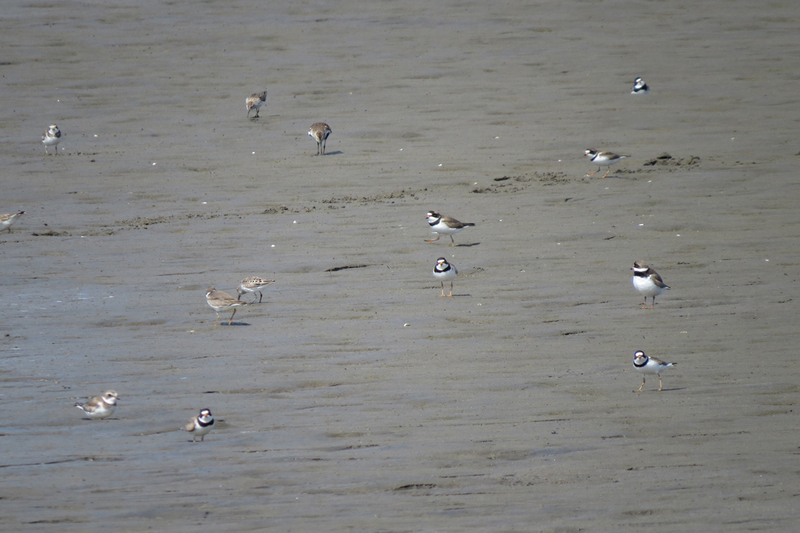 Semipalmated Plovers made up the bulk of this flock. 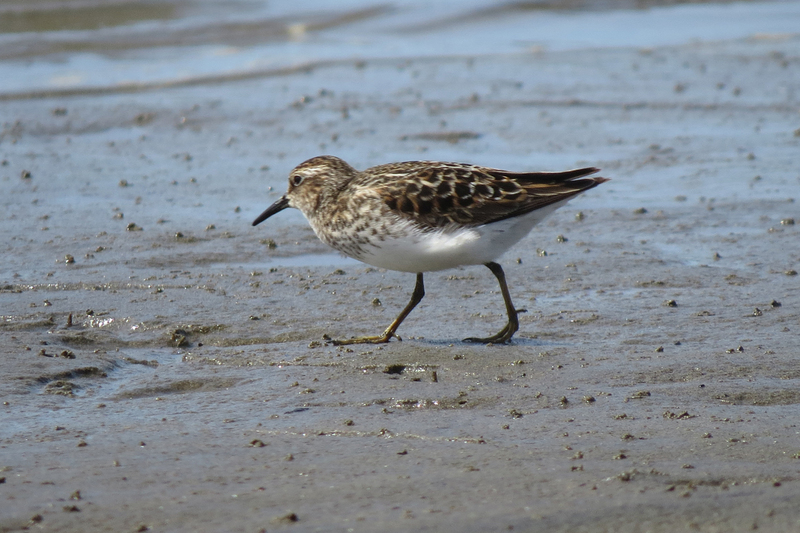 While the spring shorebird movement is about done, the southbound migration begins in about six weeks, so we don’t have too long to wait for another shorebird fix. 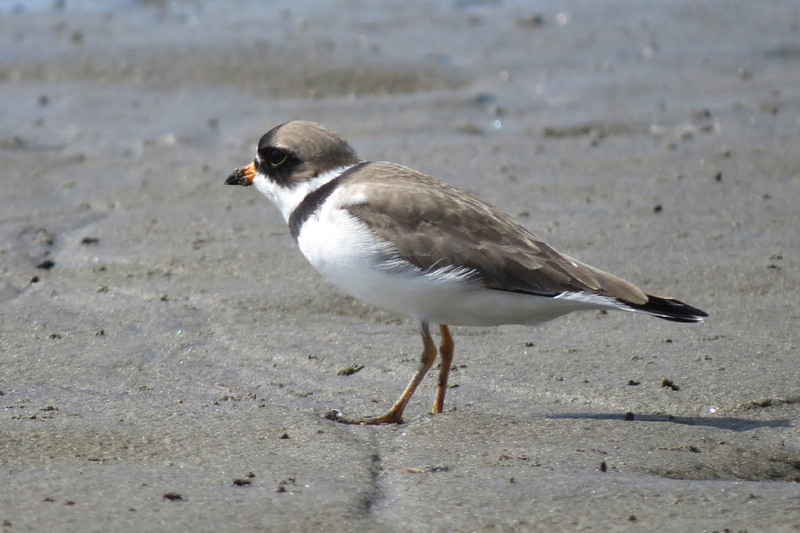 This entry was posted in OR Birding Sites, seasonal movements and tagged Bonaparte's Gull, Caspian Tern, Dunlin, Fort Stevens, Least Sandpiper, Semipalmated Plover, Western Sandpiper. Bookmark the permalink. parking area D and sit to take shorebird photos!